On a winter's day in 1904, Sherlock Holmes author Arthur Conan Doyle steered his motor car too quickly into the drive of his Surrey country home. When the steering wheel snapped under the strain, the entire weight of the car was borne by Conan Doyle's back. There he remained until a crowd assembled and lifted the car off him. 'I should think there are few who can say they have held up a ton weight and lived unparalysed to talk about it,' he would later recall. 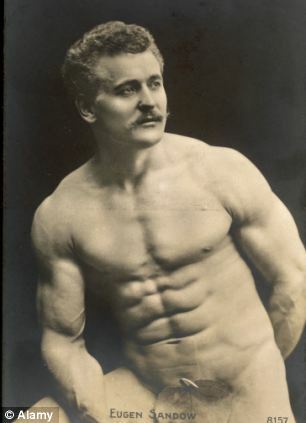 He attributed his narrow escape to a course of muscular development he had undertaken with Eugen Sandow, the world-famous strongman and music-hall performer who provided personal fitness coaching from his Institute of Physical Culture at 33a St James's Street, in the heart of London's fashionable clubland. 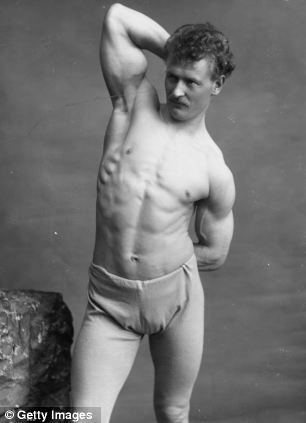 By the time of the accident, Conan Doyle had been following Sandow's training methods for several years, a regime that had left the novelist in superb physical condition. Over those years, the two men had become firm friends, so much so that in 1901, Sandow had invited Conan Doyle to be one of the three judges at what he called 'the great competition' — the first national bodybuilding contest to be held in Britain. It was a gesture typical of a generous man who would go on to sponsor the 1908 London Olympics and provide financial support for Ernest Shackleton's expedition to the South Pole. 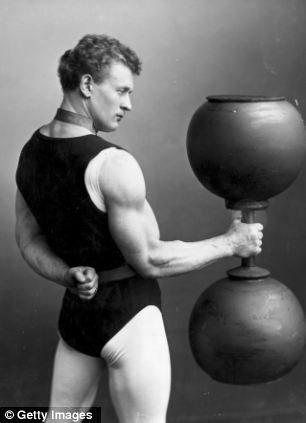 But it seems Britain's first modern bodybuilder was born in the then Prussian city of Konigsberg on April 2, 1867. He was almost certainly illegitimate and adopted by a family called the Mullers in early infancy. Already a regular at the gymnasiums in Konigsberg, the teenage Sandow returned home, redoubled his efforts and dedicated himself to achieving 'the utmost notion of perfection'. 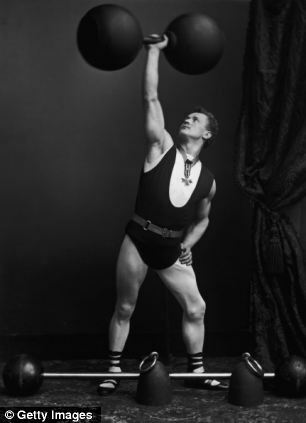 At the age of 18 — presumably to avoid a gruelling five years of Prussian military service — Sandow made a life-changing decision: to leave his family behind and begin a new, impoverished life, travelling the capitals of Europe as a music hall strongman, circus performer, artists' model and professional wrestler. It was while he was wrestling in Italy — most probably in the spring of 1889 — that he emerged, one fateful day, from the sea on Venice's beaches. His appearance immediately transfixed the Anglophile-American painter Edmund Aubrey Hunt, who stopped to compliment Sandow on his 'perfect physique and beauty of form'. If he beat both men in assorted weight-lifting trials, Sandow stood to win a life-transforming £600 (worth £50,000 today), but when he tripped over the weights on the stage, the crowd — already laughing at his relative shortness and elaborate attire — clearly didn't consider him a serious contender. Within a year, it was reported that when he appeared on stage, 'semi-delirium seized the delighted dames and damsels . . . when he made the mountainous muscles of his arms wobble'. By contrast, Sandow's extraordinary physique, with its perfection worthy of a classical Greek statue, showed what the human body was capable of. In 1897, he set up the Institute for Physical Culture in St James's Street, a forerunner to modern gyms, keen to spread his message of physical self-improvement and to make even more money. 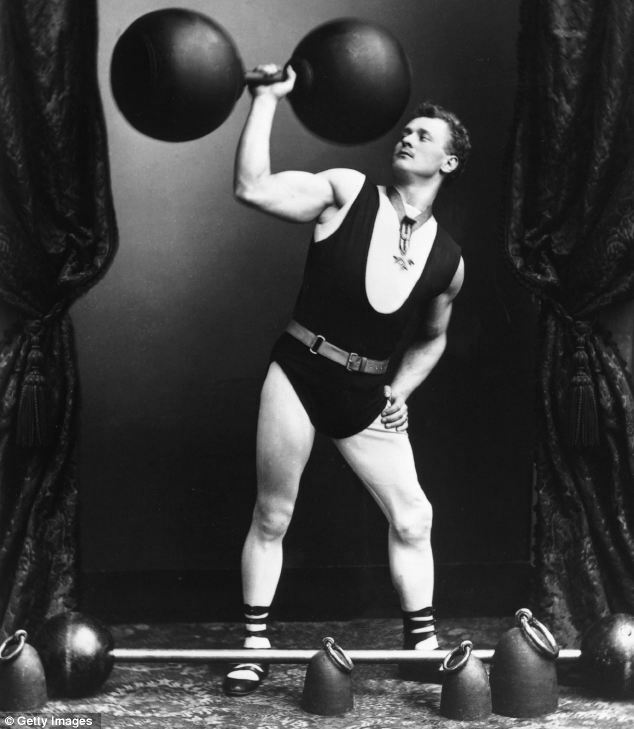 Sandow was no charlatan: his method of muscle-building — his 'system' as he called it — relied on multiple repetitions of particular exercises using relatively low weights, and is considered as sound today as it was 120 years ago. Sandow married Manchester-born Blanche Brookes, by whom he had two daughters, and bought a smart townhouse in London's Holland Park. But he was a great philanthropist, too, working with the Church Lads' Brigades and volunteering to use his exercise regime to improve the physical fitness of those volunteering to fight in the Boer War. 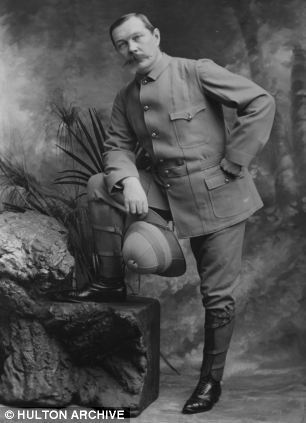 But at a time when any association with Germany became unacceptable, not only did Sandow's Prussian origins come back to haunt him, but a misguided and very expensive diversification into chocolate and cocoa powder (he claimed health benefits for both) brought accusations that he relied on German technology and ingredients. In a matter of months — and amid malicious reports that he had been executed as a German spy — Sandow's business empire collapsed. He kept on his St James's Institute, where an American visitor in 1924 was surprised to find him alive and, at the age of 57, looking 15 years younger and still in excellent physical condition. Either way, Sandow was quickly forgotten. It wasn't until a new generation of bodybuilders rediscovered him in the Sixties and Seventies that the pioneering Prussian's contribution to bodybuilding and physical fitness began to be acknowledged. Adapted from The Perfect Man: The Muscular Life And Times Of Eugen Sandow, Victorian Strongman, by David Waller (Victorian Secrets, £10). To order a copy at £8.99 (P&P free), tel: 0843 382 0000.